DENVER/BOULDER – The Colorado Department of Transportation (CDOT), the High Performance Transportation Enterprise (HPTE) and Plenary Roads Denver (PRD), the concessionaire for the US 36 Express Lanes Project, today announced that the second phase of the US 36 Express Lanes commuter bikeway between 88th Street in Louisville/Superior and Table Mesa in Boulder will open tomorrow, March 1, completing the connection between Denver and Boulder. The US 36 corridor is a model for multi-modal options, and the bikeway is one of those components. The first phase of the bikeway opened to commuters in June 2015, and cyclists have been enjoying 11 miles of bikeway between 80th Avenue in Westminster and 88th Street in Louisville/Superior. The entire length of the finished bikeway is 18 miles and features 12-foot-wide lanes with 2-foot wide shoulders and 6-inch thick concrete to ensure a comfortable ride. The bikeway features a connection to the existing trail system, offering commuters and recreational users all the benefits of the bikeway. “We are excited to have the bikeway open and ready to use. Coloradans have another opportunity to get outdoors, exercise, and ride with family and friends or commute between Denver and Boulder,” said Executive Chairman of PRD Dale Bonner. While the bikeway will open to cyclists tomorrow, in order to ensure a final quality product, travelers may notice some minor construction, landscaping and cleanup activities going on this spring. The US 36 Express Lanes Project is a multi-modal project that is building an express lane in each direction on US 36, in addition to the two free general-purpose lanes. The Express Lanes accommodate High Occupancy Vehicles (HOV), Bus Rapid Transit (BRT), which started running in January 2016, and tolled vehicles. In addition to the bikeway, the project is replacing several bridges, adding BRT improvements, and installing Intelligent Transportation Systems (ITS) for tolling, transit and traveler information, and incident management. Phase 1, from Federal Boulevard to 88th Street in Louisville/Superior, opened in July 2015. 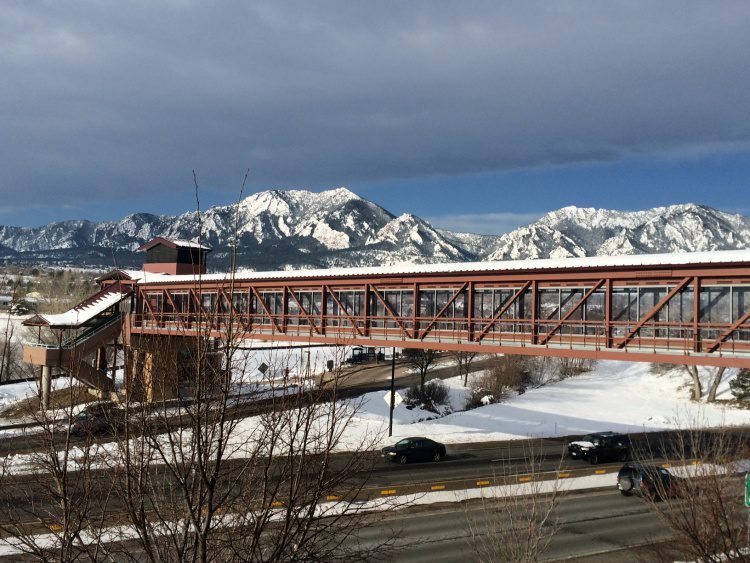 Phase 2, from 88th Street to Table Mesa Drive in Boulder, is substantially complete with toll commencement set to begin at the end of March. For more information about the project go to www.codot.gov.